Her married name became Townshend. 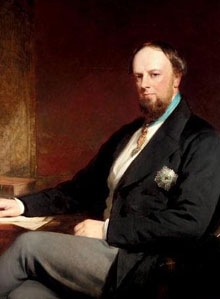 Sir William Milner, 1st Bt. From 16 August 1847, her married name became Wodehouse. After her marriage, Lady Florence FitzGibbon was styled as Baroness Wodehouse of Kimberley on 16 August 1847. She was awarded the Imperial Order of the Crown of India (C.I. )1 She eventually succeeded to her father's personal property.3 After her marriage, Lady Florence FitzGibbon was styled as Countess of Kimberley on 1 June 1866. [S1148] Dennis Griffiths, "re: John fitzgibbon," e-mail message to Darryl Lundy, 19 July 2004 - 25 August 2004. Hereinafter cited as "re: John fitzgibbon." From 7 April 1825, her married name became Wodehouse. [S6] G.E. Cokayne; with Vicary Gibbs, H.A. Doubleday, Geoffrey H. White, Duncan Warrand and Lord Howard de Walden, editors, The Complete Peerage of England, Scotland, Ireland, Great Britain and the United Kingdom, Extant, Extinct or Dormant, new ed., 13 volumes in 14 (1910-1959; reprint in 6 volumes, Gloucester, U.K.: Alan Sutton Publishing, 2000), volume I, page 141. Hereinafter cited as The Complete Peerage. [S6] G.E. Cokayne; with Vicary Gibbs, H.A. Doubleday, Geoffrey H. White, Duncan Warrand and Lord Howard de Walden, editors, The Complete Peerage of England, Scotland, Ireland, Great Britain and the United Kingdom, Extant, Extinct or Dormant, new ed., 13 volumes in 14 (1910-1959; reprint in 6 volumes, Gloucester, U.K.: Alan Sutton Publishing, 2000), volume I, page 140. Hereinafter cited as The Complete Peerage. [S6] Cokayne, and others, The Complete Peerage, volume I, page 141.